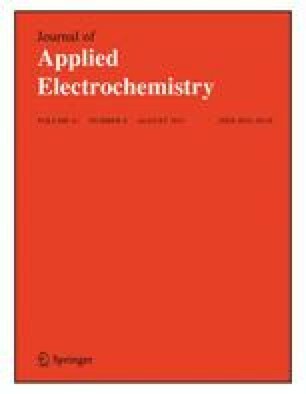 The corrosion protection of stainless steel (SS 316L) provided by layers of SiO2 and by siloxane-anchored self-assembled monolayer (SAMs) was assessed by cyclic voltammetry (CV) and by potentiostatic current transient in sodium chloride media. The SAMs were composed of octadecyltrimethoxysilane anchored onto a thin (1–2 nm) layer of SiO2. The initial SiO2 layer was obtained by treatment with tetraethoxyorthosilicate. Successive layers were added by applying the alkylsiloxane and then oxidatively removed by treatment using a UV-ozone cleaner. Though SAMs have been used as corrosion barriers in other contexts, it is shown that successive cycles of SAM deposition and ablation provide an extended SiO2 thin-covering layer that protects stainless steel against pitting and general corrosion. This work was supported by a Tashtiyot Grant from the Israel Ministry of Science.